Flip Out Mama: Fabulous Flats Review. Yummmmmmmm! Oh, food reviews, how I love thee! 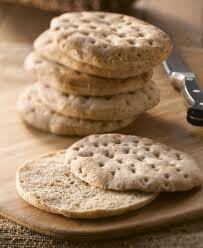 When I recently got the chance to try some products from Fabulous Flatbreads, I was really excited. I LOVE flatbread, and knew that this would be no exception.What I didn't know was just how good it would be. The first product we got to try was the Stone Baked Pizza Crust. The day that our package came, we hadn't gotten to go to the store yet, so the cupboards were bare. But Tater and I were detirmined to use our new pizza crust! We ended up making cheese bread with it, and it was SOOO good. We just used mozzarella cheese, olive oil, and a little garlic. I can't imagine how good it would be if we actually had stuff to go on it! The crust was so good, I've really never had one like it. It is hand-streched, so it isn't like a cookie cutter rectangle or circle like you buy at the store. It really looks like a handmade pizza crust. I think I could have passed it off as homemade if everyone didn't see the box arrive lol :) Fabulous Flats crusts are baked on a stone surface, and I think that is another thing that makes them so good. I have never tried a pizza on a pizza stone before, and I really liked this one! I also like the fact that Fabulous Flats uses all natural ingredients, and no additives or preservatives. Last but certainly not least, the Tandoori Naan was the shining favorite of the group. The others were great too, but this one was just the best. I had no idea all of the things you can do with flatbread, but the recipes on the Fabulous Flats site were really yummy sounding. We ended up making burgers with ours, and they were out of this world.They are so thick, but not too much bread, which is what I normally think with burgers. I can't believe I forgot to take pics! 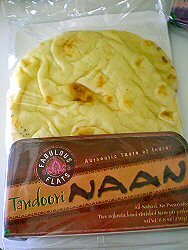 I am so glad I discovered Naan, I have really been inspired to think outside the box when it comes to sandwiches and pizzas and stuff now because of the ideas I have gotten from Fabulous Flats! I highly recommend their entire line of products to anyone looking for a way to jazz up your everyday dishes! You can find Fabulous Flats products at Whole Foods. Thanks Fabulous Flats Folks (heehee, I like that!) for helping me discover tons of new things to make at home! Disclosure: I received a sample product in order to conduct this review. All opinions are mine, and no monetary compensation was given.